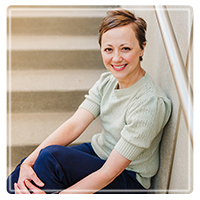 Overland Park Therapist: Jessica Willemsen - Therapist 66202. Do you live in fear and isolation? Are you haunted by painful experiences? Are you trapped by drugs and alcohol? Do you experience debilitating sadness or sleepless nights? Jessica Willemsen, Licensed Clinical Social Worker, can help provide relief and recovery from these and other life challenges. I have a Master's Degree in Social Work (MSW) with an emphasis in Mental Health from the University of Kansas. I am a Licensed Specialist Clinical Social Worker (LSCSW) and a Licensed Master's Addiction Counselor (LMAC) in the state of Kansas, and a Licensed Clinical Social Worker (LCSW) in the state of Missouri. I am both a Certified Eye Movement Desensitization and Reprocessing (EMDR) Therapist as well as an Approved Consultant with EMDRAIA (www.emdr.com). I have obtained over 100 hours of Play Therapy/Expressive Therapy training (www.a4pt.com). During the course of my training, I have focused my attention on walking the recovery process with each client I see. Trauma experienced during childhood or from adult experiences, creates obstacles and consequences in our daily life. Some of the most significant obstacles can be a chemical addiction, such as alcohol, methamphetamine, or cocaine abuse, and Mood Disorders, such as Depression, Bipolar Disorders, and Anxiety Disorders. Dissociative symptoms can present themselves especially when trauma begins early in childhood, and continues into adolescence and/or adulthood. Dissociation can include feeling you are living life in a fog, loosing time, or having internal voices that assist with daily life. Therapy provides a new beginning for your journey toward increased hope, happiness, and emotional health. I am honored to join you on this quest for freedom from the constraints of emotional pain. Take a soul-filling breath...and visualize the courage and strength you have had all along, but that only needs to be uncovered and rediscovered. You can find sanctuary here.